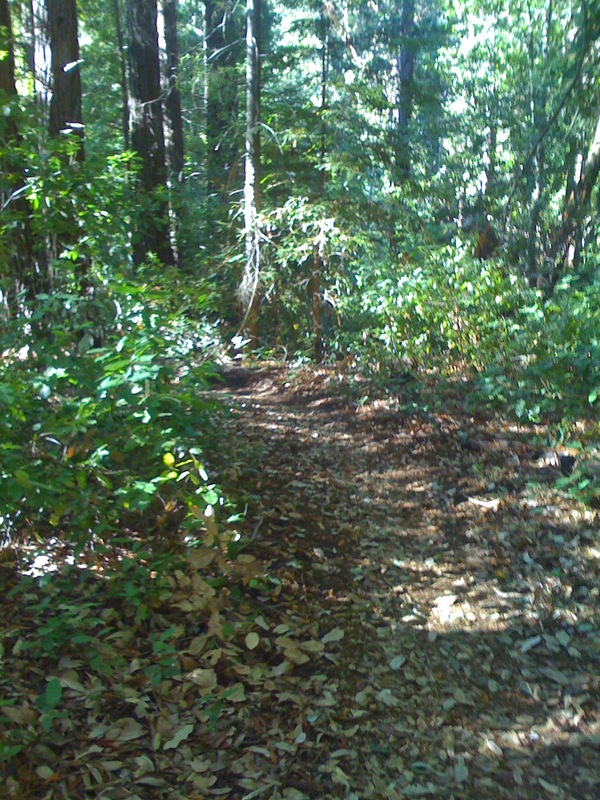 Back in December I was reading on http://www.mtbr.com, a mountain biking web site, about Demo forest in Aptos. It wasn’t very far from me and was supposed to be EPIC. I couldn’t resist. That first time I tried to find someone to go with me but no one was available, so I just went by myself. 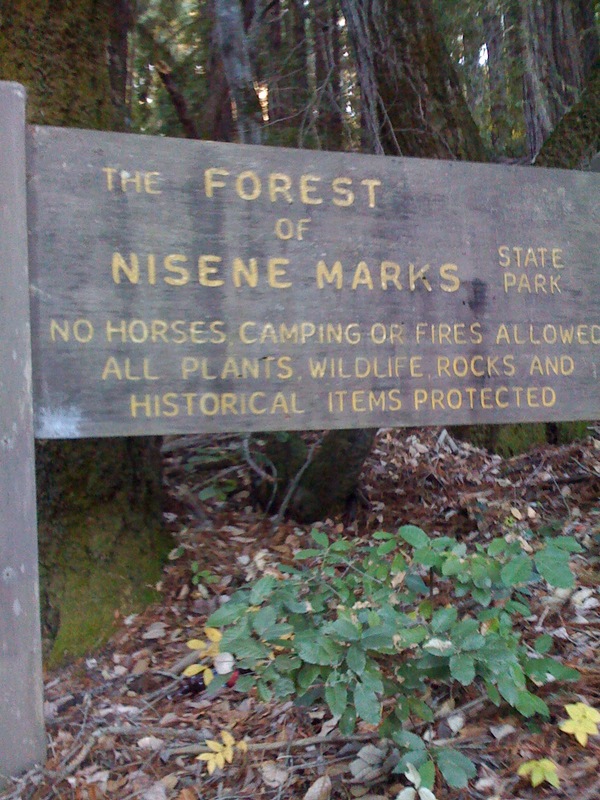 Nisene Park was the place, so I felt pretty good. There was no ranger station or anything though, and no people. Fortunately a couple of riders passed me and I asked them about it. They said they would show me the ropes, so I jumped out and followed them. Man, luck was really going my way. It was a hard ascent, but we quickly made it to the top. I was in an old growth redwood forest. Leaves were all over the forest floor, and they were slick! It was cool, the ground was damp and as I looked on my GPS later I learned there was 6,000 feet of downhill. I had never experienced anything like this before. It was obvious many people had taken time to build out the trails, jumps, log rides, etc. It was a bicycle park for mountain bikers. I can’t wait until my son is old enough to go and ride with me there. It’s got some pretty hairy spots, but overall it’s an intense ride. If only they had chairlifts to take me back to the top! The hardest part is the 6,000 foot ascent back to the top. It’s a long ride. Riding my Stumpjumper was fantastic. It’s like riding a motorcycle without the engine – my legs are the engine. The amount of travel on the suspension is awesome. Really, it’s so plush I’m always in awe as I barrel down a hill. Bikes have come so far in the last 10 years, I love it! I’ve been fortunate enough to make it back to Demo a few times since my first time in December. Each time I’ve found some fun people to ride with. My second time I went again by myself and immediately hooked up with some guys who showed me a few more trails. My third trip I went with some friends, but one had his chain break. We didn’t have the right equipment to completely fix it, so we were limping back up the fire trail with him. We came to the bottom of one of the main trails and there was like 20 guys sitting at the bottom of the trail. They saw us limping along and one guy jumps up and offers to help. Flips the bike over and within just a few minutes has the chain all fixed and we were back at it full speed. Each time I’ve gone we’ve run into really cool people. Kind of odd, since it’s at least an hour from civilization. Cool though that all the people I’ve met in this community have been so cool. Can’t wait to head back there.